This chart has actually been around for a quite awhile; it's been regularly updated as ownership rights have changed hands over years. 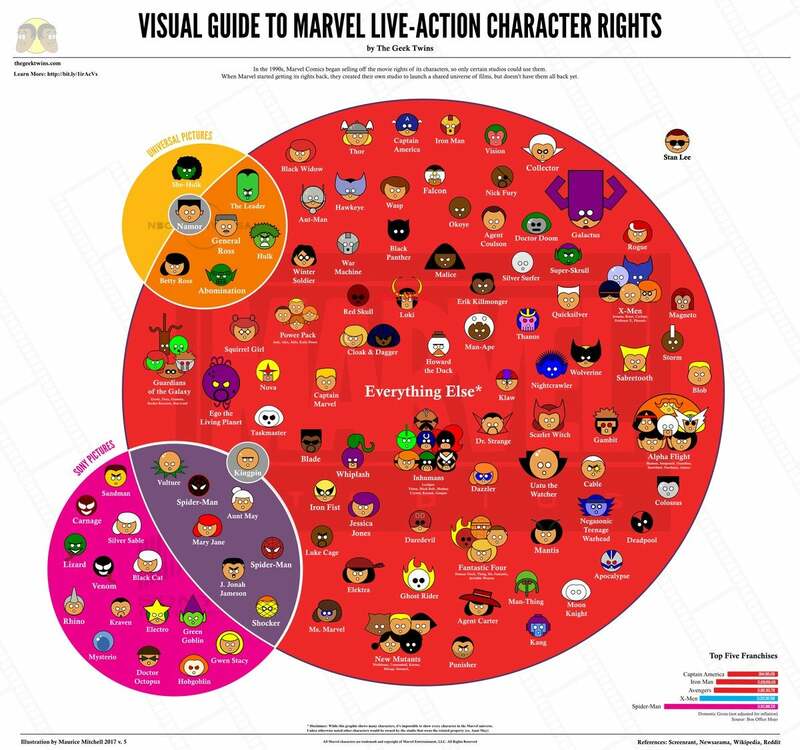 Needless to say, the additional circles that used to branch out from the main Marvel Studios hub have steadily been pruned away - especially since Disney has stepped into the picture. As for the remaining holdouts? Universal's remaining share of the Hulk franchise or Namor character rights are going nowhere any time soon. It's only Sony's Spider-Man spinoff universe that has a shot at box office success, and if films like the upcoming Venom are successful, it's just more incentive for Marvel Studios to open the door wider and let those characters play in their sandbox. Avengers: Infinity War opens in theaters on May 4, 2018. Thor: Ragnarok is now playing in theaters. 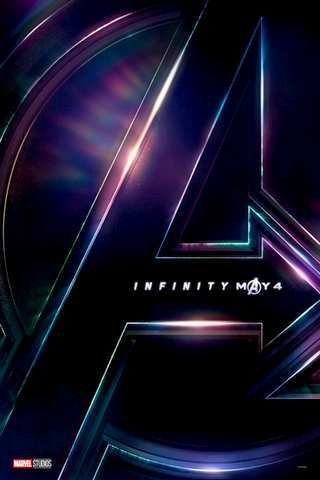 Other upcoming Marvel Cinematic Universe movies include Black Panther on February 16, 2018, Ant-Man and the Wasp on July 6, 2018, Captain Marvel on March 8, 2019, the fourth Avengers movie on May 3, 2019, the sequel to Spider-Man: Homecoming on July 5, 2019, and Guardians of the Galaxy Vol. 3 in 2020. The X-Men film universe continues with The New Mutants on April 13th; Untitled Deadpool Sequel on June 1st; and X-Men: Dark Phoenix on November 2nd.